Offering property management in Bungoma has given us a very interesting experience. One of the things we have witnessed over and over again is ways in which property management cause health problem to many people. As a property owner, the last thing you would want is for your property to cause your health problems. Just how is this possible? Do you know how rental units can be troublesome especially where there is enough supply of units and so you need a network to get tenants? If you choose to manage your property alone, you will be expected to go out of your way to attract tenants and if that fails, then it becomes frustrating and source of headaches. Do you have time to go online on social media websites to post your property to let, respond to comments, emails and even phone calls? Do you have time to network, reach out to other agents to inform them of your vacancies? Do you have the time to receive calls from people who want to view your vacant unit? You can face enough trouble with people who pop up and want to go view the house as we as marketing efforts which are not coordinated, planned for and even time budgeted. For these years that we have been offering Property management in Bungoma, we have witnessed many property owners missing out on tenants because of their unavailability to handle all prospecting tenants. We have also seen people struggling to market their properties to prospecting tenants. As a company offering Property management in Bungoma service, we have been forced to offer help to properties who are not on contract with us for them to see that indeed they need a property management company to handle their properties. A property management company is better placed to keep track of rental rates in different locations and will help you price your property well. If you overprice your rental units, you will drive away tenants and if you underprice, you will not have a guarantee of tenants because some will think of something being wrong. You will also take longer to get your return on investment because of the wrong rate. This is something many people don’t know but you should as a property owner. The presence of a property management company makes tenants be more diligent and secure the property. A good property management company will inspect the house or apartment once a year to ensure the condition of the house is not bad and should there be a need for repair, the tenant is informed to carry the repair. As a property management agency in Bungoma, we have managed hundreds of houses for years whose conditions remain impressive because of the control mechanisms we have concerning repairs and maintenance. Not all property management companies in Bungoma offer the kind of services that guarantee reduced repair costs. West Kenya Real Estate is a Property management agency in Bungoma. We develop and manage properties in Bungoma, Luanda, Mbale, Chavakali, Kakamega, Bungoma, Migori and Homabay. If you need property management agency in Bungoma, property management agency in Mbale, property management agency in Chavakali, property management agency in Luanda, property management agency in Kakamega, property management agency in Bungoma, property management agency in Migori or property management agency in Homabay, contact us today. At West Kenya Real Estate we are reliable and qualified building contractors who can carry your next new home project. We work directly with individuals looking to build a new home or, with developers to create new homes for sale in Kisumu. • Master builders and engineers that carry out the main construction works. • Plumbers and electricians that make sure all installations are accurate and in accordance with the needs. • Project managers and site managers who efficiently organize and lead the project. • Decorators and fitters who bring to life the finest interior design for your property. Our team will make sure your project is developed accurately whilst maximizing space and value. We provide you with architectural services including a full design package but also, dealing with planning permission and building regulations approvals on your behalf. As we take care of everything, you do not have to take time out to manage the build process. As trusted New Building Property Developers in Kisumu, we take full ownership of the project ensuring seamless results based on a work done with meticulous attention to detail and professionalism. Do you want a construction company in Kisumu for your project in Kisumu or elsewhere? Think of us. West Kenya Real Estate as a property developer Kisumu company is positioned to offer you unmatched construction services which not only leaves you satisfied but also one which is top notch in every aspect at a cost-friendly budget. Speak to us today. We can take the project as small as a few hundred thousand to over a half a billion Kenya Shillings. We are here to hear from you. Anyone beginning a college or a university will have a decision to make of places to stay. Many students rush for university hostels although some prefer privately managed hostels outside the university or college compound. Several students who are privileged to learn near their homes return home after studies daily. As a student or parent eagerly seeking for a student hostel, you need to get to know what hostels should offer. Generally, student hostels are good places for students to outlive because of fairly good amenities offered, cheap accommodation, good foods and a generally great environment in order to accommodate yourself studying. As for one attempting to find accommodation, you need to know what expecting in a student hostel. 1) They are less costly hotels. If you were to stay in a hostel, you will pay a few hundreds of shillings per night compared to a basic lodging. For example, a basic standard hotel room can cost you roughly Kenya shilling five thousand a night. A hostel will charge you less than Kenya shilling one thousand particularly for one night stay. 2) Many hostels have free access to the kitchen and laundry. For student hostels, the kitchen may be restricted but there is constantly a cook who prepares food for people and even laundry clothes at some little fees. 3) Most hostels usually are located closer public transportation. Students usually don’t go long distances untill they are able to catch a public transportation means. 4) Hostel workers should also notify you of the area and all you need to know. This ensures you enjoy exactly what the area provides additionally avoid unnecessary risks. 5) Hostels really need to have clear rules and policies which guide people who stay in the hostels. This gives you the peace of mind that where you want to stay or secure for your child to stay is prospect. These policies should cover safety and security issues and also cleanliness and hygiene. 6) Offers accommodation to students whether or not the public or university hostels are closed. There are times exactly where the university has closed down for whatever reasons and students are sheltered of the hostels, private hostels become a save heaven for students before they as an alternative go home for a few days or just study and wait for the college to open its doors. There are just might be many benefits to host yourself or child within the hostel, especially privately owned hostels. How do you find student hostels in Kisumu? Student hostels in Kakamega? West Kenya Real Estate is a premier real estate property company that offers property management, real estate development, purchase and sale of land and building and property valuation services but additionally offers nice hostel accommodation in Kisumu and Kakamega. Currently, our hostels are capable of accommodate over two hundred students. Do you want to find student hostels in Kisumu or student hostels in Kakamega? Visit our hostels in Kisumu and Kakamega page for more details including dates and ways to reserve a hostel. Hostels have attracted very disturbing stories in other areas.Challenges like filthy bathrooms, bedbugs or people sharing too many things are far too common. Fortunately you can find hostels in Kisumu or even hostels in Kakamega which are free of these challenges. If you are looking for a good hostel for yourself or your child, there are a number of tips which should support you pick a good hostel. For hostels in any location, it’s important to inspect the ratings online to see what some say. You very well may try Good ratings by customers as well as other hostel listing sites. Some customers will go back to these sites and abandon a remark once they have stayed in such houses. There are sites which offer ratings from any individual to five others offer from one to ten. It’s you to take time and go through several of the ratings and see what to expect from such ratings. Think of your style if you are serching to find a hostel. There are actually hostels with a bar and restaurant. For student hostels, you will never find a bar or restaurant within the hostels’ facility. It’s you to think of a hostel which suits you. If you are a student, the look for students hostels. They will tend to to be cheap yet offers a great deal of services which you ll find are offered by other hostels. Look at the consistency of the reviews. Several people are spoilers and they can write a bad review just to drive away customers and not because of the fact that the hostel is in a bad state. It can also be due to a competitor hoping to pick customers away from a good place. So look at what is more consistent, it is a bad review of a very good one? Occasionally even a good place can get bad scores. If you find one bad review in two other good reviews, then you can ignore the one review. A clean hostel will not have the the challenge bedbugs together with other issues. The hostel management must put policies which enable cleanliness of the hostels guaranteed. At no given time should bathrooms be disgusting. There is a cleanliness policy within the hostels which all students should observe. The management of the hostels should likewise put in place mechanism to ensure the hostels are clean. Many hostels are shared room hostels. For college students, shared rooms aren’t such a big issue but for travellers, you need to ensure that if you happen to be going for a hostel booking, it’s not shared by many people. Many hostels offer either ensuite bathrooms or shared bathrooms. You will also find privacy curtains fitted between beds to offer privacy to students. These go a long way to helping combat any privacy or light issues relevant to having a handful of other roommates. Hostels can be mixed gender or one gender. Ladies only hostels are normally expensive compared to mixed hostels. As you book for your hostels, you need to clearly indicate your preference or insufficient preference. Most girls only hostels are expensive when compared with mixed hostels. Pick a hostel which isn t located where transport is challenging. The location should also be conducive for studying or silent stay. If the hostels are for the student, they should not going to be too far away from the institution of learning like over a kilometre away. Some hostels get more accommodation compared to other people due to the facilities being offered. A hostel requires proper security, stable WIFI, smart TV, spacious living room as well as outdoor space for outdoor resting. These are just some of the facilities which is be found in a hostel. Many companies or individual may be offering hostels in your region. You need to check and see if they’re a student or common hostels for travellers. The common area is where anyone can story tell, watch television or merely relaxing. It should have chairs as well as WIFI connectivity, television and a table. The common area should be enough to accommodate all the occupants considering theof a given facility. Employees choose to make any business, and when I find the staff of hostels helpful, knowledgeable, and friendly, I like that place a lot better. A hostel is like a home, and you want the people there to welcome you like a long-lost family member. I never understood why hostels don’t recognize that being a hostel is not about being a cheap place to stay, it’s about creating a warm environment. If you are looking for hostels in Kisumu or Hostels in Kakamega, then you can visit West Kenya Real Estate hostels page for information on the available hostels, associated services and costs. If you would like to think about investing an apartment building, there are fundamental factors which you need to take into consideration before you invest a single coin. The end result and return thereof which largely employ how well you addressed those factors. As a property developer, it’s our business that will help investors make right decisions before investing any money in a real estate property. Here are the factors to consider when investing in a real estate property much like an apartment. Will the property bring net positive cash flow? Simply put; will I make profit from this investment? This is very important to ask providing you with assess the market critically. The demand in the local marketplace for unitsIf there’s a huge demand out there, you will not experiencing a long vacancy period. This will confirm you start getting returns immediately the property is completed and even when a tenant gets out, the time it takes to bring in another tenant will be a short one. The type of market you would like to invest inThe type of market will dictate the huge amount you can charge as rent. If you operate outside the expected range, you will definitely miss out on tenants. Therefore the market will impact directly on what you may can receive as rental income. 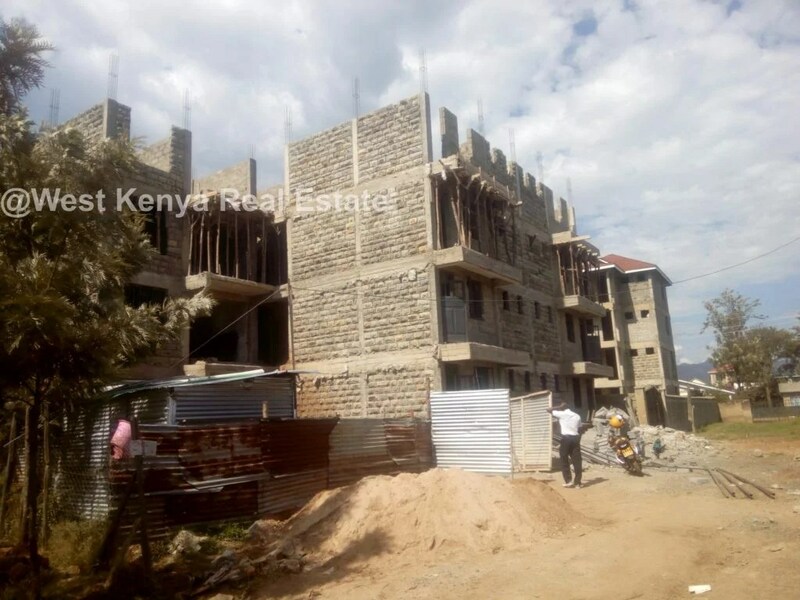 There may be estate were a two bedroom unit in an apartment attract monthly rental income of between Ksh.20, 000 and Ksh30, 000. Exactly the same two bedroom unit if moved to another estate will attract a maximum of Ksh15, 000. The cost of financingIf the price of capital or finance is high, the return will be reduced. If you secure financing at an interest rate of less than 10%, then you certainly stand a chance of constructing good return from the investment than if you secure funding at an level of interest of 13% or more. How much your down paymentThe amount of deposit you make will reduce the funding required hence the costs associated with financing. If you locate a deposit of 40% of the cost of the project, then you is only going to look for financing of 60%. If another person places a down payment of 20%, the remaining 80% will most definitively be financed by debt capital hence more interest expense. Once you have stare upon all these points, you then need to ask whether you’ll make money by investing in the property you have in your mind? If you don’t have a good clear answer, look into a property developer who offers consultancy or financial analyst. You need to try to ask yourself whether the place you prefer to invest as the good potential of appreciation of property value and rental over a period of time. You need to invest in a place where rental income inclined go up and definitely not down over quite a while. If you buy in an estate where rental income or property value rarely appreciates, then you are putting your money into a high risk area. If the value does not appreciate, there is a high chance the fact that the value will come down over the same length of time analysis. Risk is something to plan for. It’s said that you expect the most beneficial but you prepare for the majority. You need to ask yourself are you aware of what happens if all your assumptions were wrong. If you expected the units to remain fully occupied or at least 70% occupied and now you only attain 35% occupancy? You expected the value of the property to go up enabling you to secure funding but today the value has dipped? When you plan very effectively the risk, you are adequately conditioned for any outcome. Before investing in any property development project, assess the risks involved and then judge if you will still make money if the risk occur. For more information on real estate developer kisumu service, contact us, WEST KENYA REAL ESTATE.